Two producers introduce themselves with a two-disc debut, which, like many double albums, is creative, ambitious, and a few tracks too long. The world of double albums has always been a mixed bag. On occasion, artists who are about to hit The Wall are able to come up with Something/Anything, put it on a record, and make a masterpiece. More frequently, however, double albums lead to indulgent artists and fans left with nothing but a sense of Mellon Collie. No matter its quality, a double album is usually the product of an established artist attempting to go in a new direction or to push boundaries. Rare is a group like Blue Sky Black Death, which chose to introduce itself to the world through a two-disc release. Of course, as they prove on their debut album A Heap of Broken Images, the members of Blue Sky Black Death are not afraid to stand out. 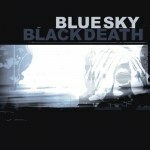 Blue Sky Black Death is the name assumed by production partners Kingston and Young God. A Heap of Broken Images's two discs are neatly divided between instrumentals and vocals. Throughout the album, the producers deliver on the metaphorical connotations of their band and album name. Broken Images is a varied collection of soundpieces which range from the broad and atmospheric to the claustrophobic and intense. The album begins with "Skies Open", in which a spoken sample leads into a lazy bass groove and a mélange of keyboards, chimes, and guitar. The disc really doesn't kick into gear, though, until the second track, the epic "Days Are Years". On this track, the producers demonstrate a keen sense of dynamics and powerful talent for arranging. Combining swelling synthesized strings, guitars, ethereal vocal samples, and hip-hop beats, they create a sweeping track that builds towards the middle and subsides at the end. Other tracks on the first disc display an even larger sonic palette. "Not Here" features jazz horns and vibraphones, while "From Sun's Angle" conjures the sound of a string orchestra. The second disc contains hip-hop vocals. The production style is more understated, but still effective. One of the most interesting samples is found on "I Catch Fire", when the duo supports the rhymes of Holocaust with a loop created from J.S. Bach's "Toccata and Fugue in D minor" for organ. Highlights of this disc include "Brain Cells", which features the fiery Virtuoso rapping against driving strings, and "Long Division", a Rob Sonic and Mike Ladd track that features skittering beats and glittering bells. Despite its many strengths, Broken Images has several problems. Many of the guests on the second disc seem all too happy to extol their own virtues as rappers, and their braggadocio begins to wear thin. And little of the material on disc two is very memorable; in fact, a few of the raps seem stale. The disc's length also proves to be wearisome. Perhaps this is a programming problem. Producers often mitigate the monotony of multiple raps by adding instrumentals or skits for variety, but the segregated format of Broken Images provides no such relief. In the end, it may have been overambitious for Blue Sky Black Death to open their career with a double album. Still, delivering too much of a good thing is less egregious than putting out a terrible record. A rap classic might very well be hidden underneath some of the excess of Broken Images. It will be up to Kingston and Young God to find that masterpiece as they hone their approach on future records.